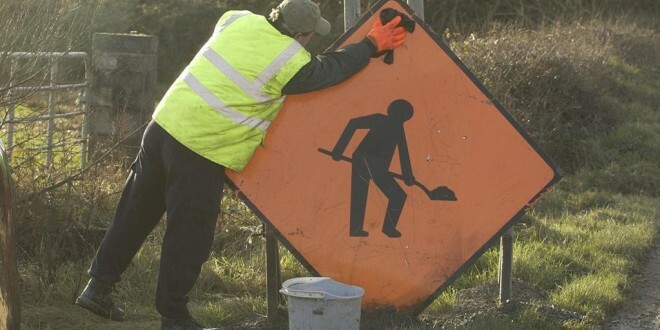 CLARE County Council and Ennis Town Council in conjunction with a road resurfacing contractor will be carrying out essential road resurfacing and repair works at a number of locations around Ennis Town on this Tuesday, Wednesday and Thursday, and again between Tuesday, April 22 and Friday, April 25. Works take place at Mill Road Bridge Pedestrian Crossing on Tuesday April 15; the junction of Cloughleigh Road / Lahinch Road on Wednesday April 16; the junction of Rossanore Housing Estate and Marian Avenue on Thursday April 17; at Lower Abbey Street between Club Bridge and Abbey Street Car Park on Tuesday April 22 and Wednesday, April 23; Upper O’Connell Street between Barrack Street and Carmody Street on Thursday April 24; and the junction of Ballymacahill Road and Tulla Road on Friday April 25. Works will take place between 8am and 6pm. Traffic management control measures will be in place and will include lane closures and the use of temporary traffic lights and stop/go traffic control, as appropriate. The public are advised to reduce speed in the vicinity of the works and to expect delays, owing to the road works and traffic management controls in place. Local access will be accommodated. Information and directional signage will be in place in the vicinity of the works.